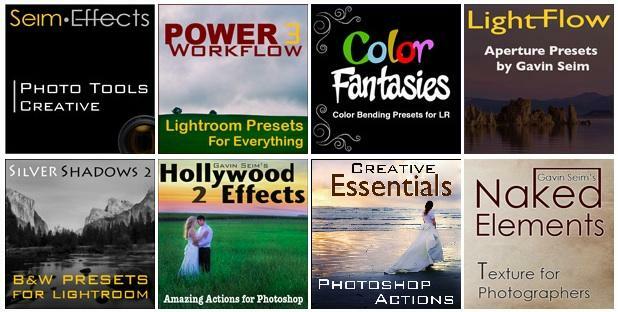 Lightroom 4 Presets. Presets in LR4. Presets in LR4 Work Different. Seim Effects Will Stay Compatible. 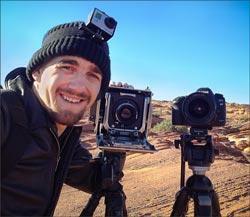 The good is that RAW and JPEG files should no longer need different presets. In LR3 and earlier, a preset made for one file type would work very differently on the other file type. This meant that to be fully compatible you had to make one presets for RAW/DNG formats and another for JPEG, PSD and others. Something I do in Power Workflow. The bad is that this will make current presets that cross over into areas where the new/old process tools are referenced (for example shadow and highlight) not always work as expected. To keep everything working seamlessly, preset makers should release free updates so they work as expected in all versions. The great news is that all current Seim Effects preset collections will be updated and work in LR4 as well as maintain functionality in earlier versions. 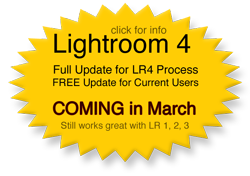 This will be a free update for all users and the update should be out around the time that LR4 officially launches. More good news. In particular, LR 4 uses different baseline for contrast and some other things. It also has replaced the Fill and Recovery with the improved Shadow and Highlight tools. I have been experimenting and the good part is that most of my presets work fine in LR4 right now. Mostly they cross over just fine, even when updated to the 2012 process. 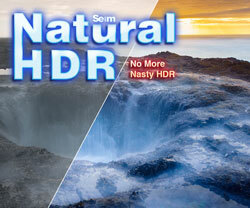 So while update are coming, don’t be afraid to use Seim Effects presets right now in LR4 Beta. If you find a problem that I’ve missed here I’ve missed here feel free to email me directly, effects@seimstudios.com. That’s why we have a Beta period. The Nerdy Stuff. Here’s some things I’ve learned and I’ve dug in and played with the new settings. Aside from new features, it’s of note that all files (not just JPEG) now use zero Contrast and Liner Tone Curve as the baseline. This will allow every file type to work with the same preset. Very cool. But how does that cross over. 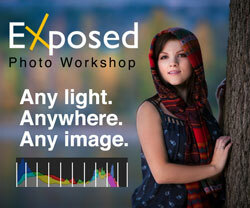 Well say you apply a preset in LR4 that defines and old setting (such as Highlight Recovery and Contrast). LR adds those settings just as expected, maintaining the old 2010 process. But LR4 also auto updates to new settings. Say you convert that image to the new process, LR crosses over those settings as best it can to the new settings. Converting for example Highlight Recovery, to an application of the new Shadow and Highlight that closely match. Of course you don’t have to use the new process at all, so images you have done in the past will be just fine, and even new images you want to use a specific process on. If you apply settings that use old process tools it will enter that old process mode. It’s only when you update that image to the 2012 process that it attempts to convert the settings over and match the effect in the new settings (generally pretty effectively). I have noticed that if you have an effect that uses a 2012 process and apply it back in LR3, the new process elements (for example Shadow and Highlight) will get ignored. It does not convert backwards. That said, I do plan to maintain LR2 and LR3 support for current tools. I’ll probably maintain have sets that will be included in my downloads for a time, until most the world is using LR4. So as an example. Here’s what you might see in a kit like Power Workflow 3 once everything is updated. LR2/LR3 Presets. Raw set and JPEG Set. LR4 Presets. One set works on any file format. Use Vertical Editing in Photoshop to make amazing edits easy. How do I obtain the update of my Seim presents for LR4? Hey Kylie. Just send me a note with your purchase email and I’ll look you up and help you out. is it possible for you to check your records and see if you can send me the LR4 versions of RAW POWER WORKFLOW 3? We chatted via so I think you’re good to go. Let me know if you have further questions. I’ve been using PW 3.2 for quite some time, and I love it. Just today I upgraded from LR 3 to LR 4. I’m not sure if there has been a new release yet for LR 4 or not. I just read a post that said something would be released in March, but I’m not sure what March that was referring to. I have noticed that if I try to use a preset from PW 3.2 it changes the process and isn’t compatible (apparently) with the new process. So, has anything new been put out that works with LR 4? Hey Paul. That was in March of 2012 that PW 3.5 came out. It’s fully compatible. Ditto for Color Fantasies. I just sent you fresh DL links for both. Though Color Fantasies 2 did come out in the fall and that is a paid upgrade. 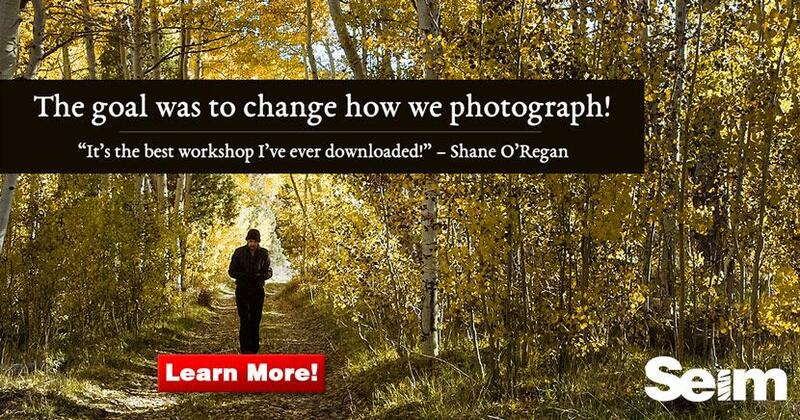 You don’t need it to be LR4 compatible, but it is much improved. You can learn about it here and you should have received an email with an upgrade discount coupon. If you just email us. 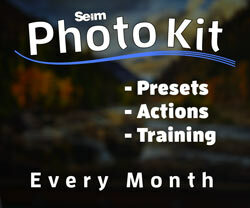 Seim: Lightroom presets, tools and workshops. Visit Seim's homepage -- Contact us.